What is the 2017 Rodeo Tomato? 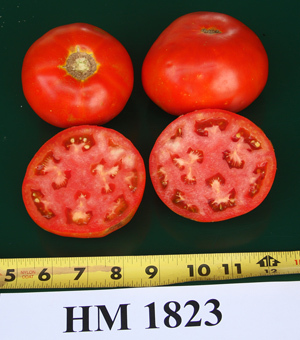 ‘HM 1823’ Harris Moran (HM) tomato is a determinate plant which produces big yields of large to extra-large (10-ounce) globe-shaped fruit that have great eye-appeal and good eating quality. 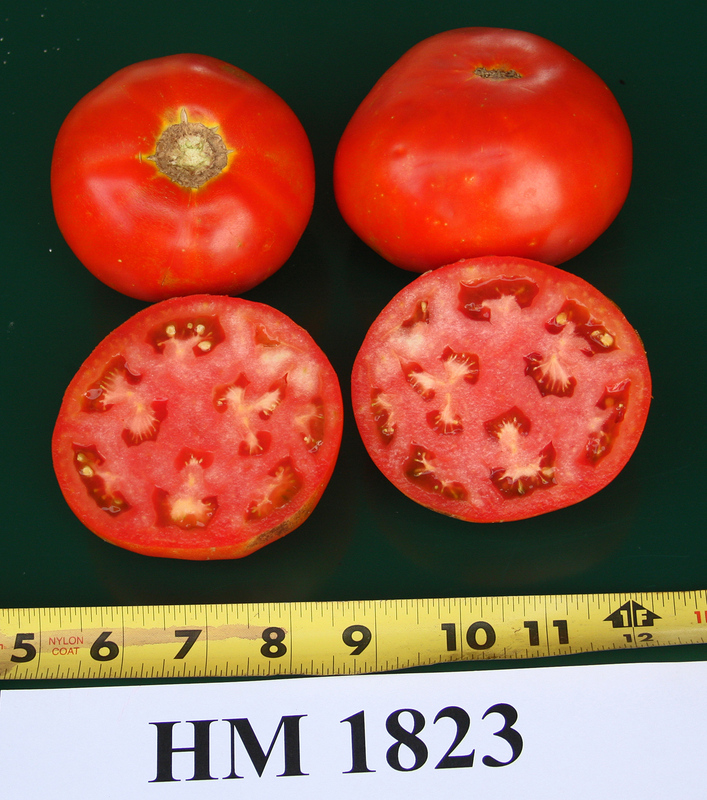 This ‘HM 1823’ has resistance to Verticillium Wilt (1), Fusarium Wilt (races 1, 2, and 3), Tobacco Mosaic Virus and Stemphylium.